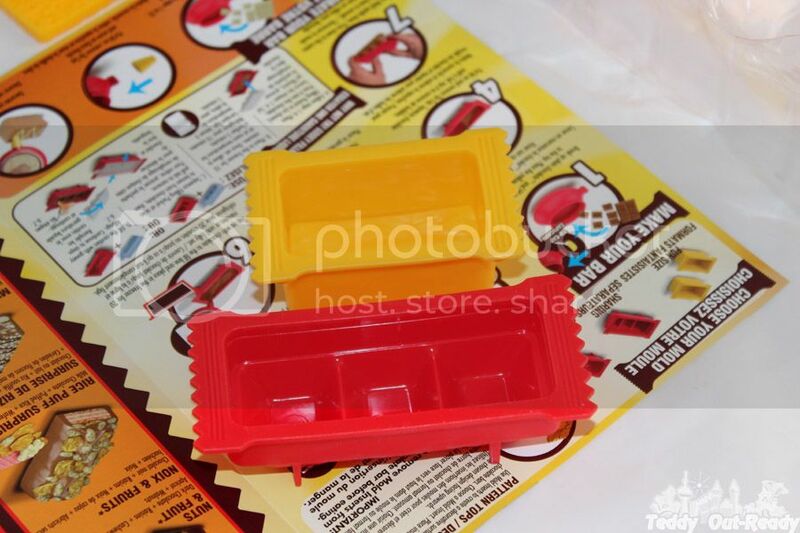 If you are looking for the easy and fun way for creative kids to express themselves and make them feel like real chefs, then check Imports Dragon Chocolate Bar Maker. 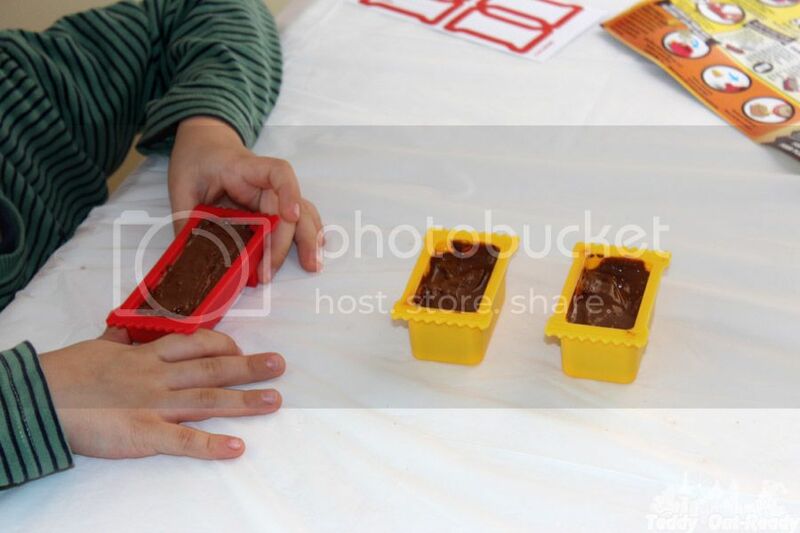 This easy chef kit has all the tools to create amazing chocolate bars where kids participate in the whole process from the beginning to the end. 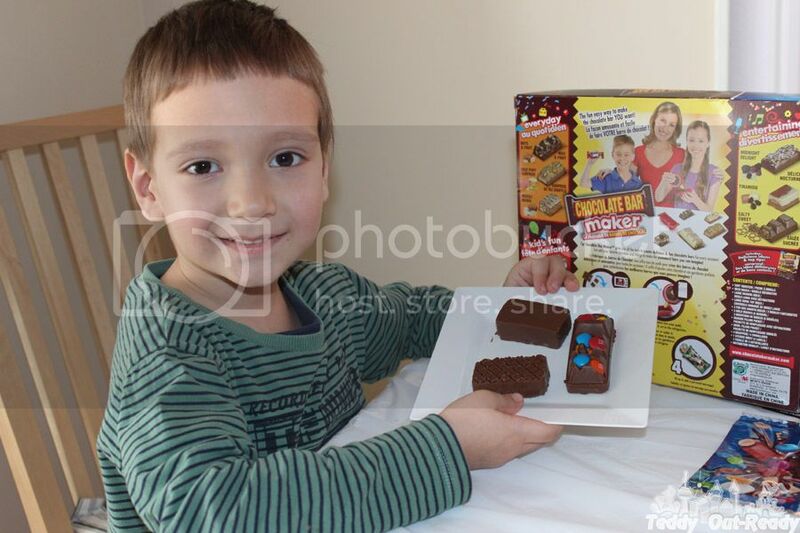 Always being curious how chocolate bars are made, Teddy was very excited to create his own. First of all you need to choose what molds you would like to use for your creations. Then, pattern tops to make pretty tops for the bars. Next step is to decide what fillings you would like to have. Teddy picked raisins, Teddy bear cookies (nice coincidence) and m&ms. We put our fillings on separate plates for easy picking and decorating our chocolate bars. There are many other fillings can be added to the bars including nuts, corn flakes or marshmallow, everything what kids like. Let them decide. Time to make our bars, we filled our Easy Squeezer with plain chocolate, put it in microwave for melting and were about to start our chocolate culinary adventures. 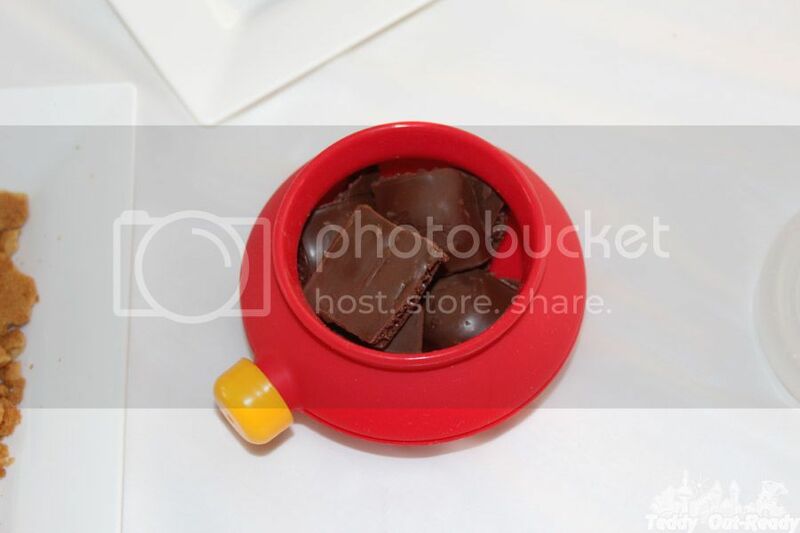 Teddy put some fillings into the molds and squeezed melted chocolate to fill them to the top. 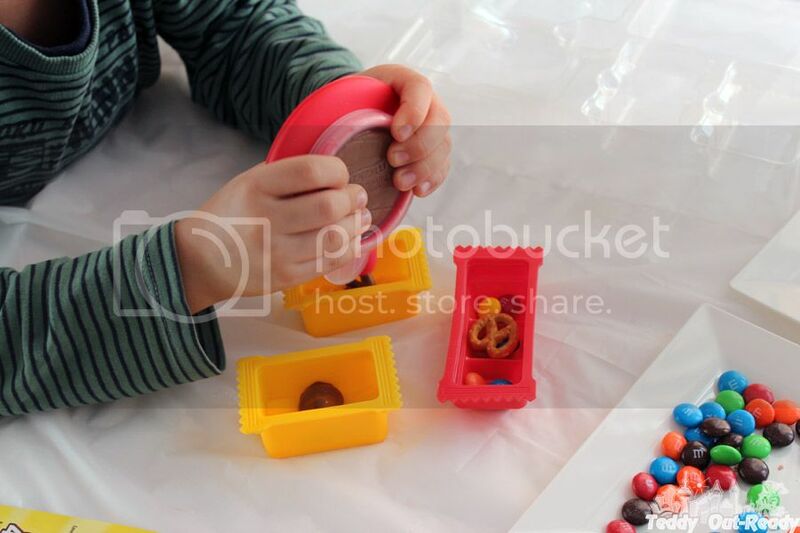 The fun part was what filling to add, we wanted m&m in one mold and cookies in another one, raisins in third along with nuts. In 20 minutes our bars were ready to try, one for Mom, one for Dad and one for Teddy. Delicious treats made by our little kid with some adult help. There are endless options how to decorate the chocolate bars, for example, use layers of different colors of chocolate, add various fillings or apply the Deco Nozzle attached to Easy Squeezer to create lines, circles and figures, everything up to your imagination. 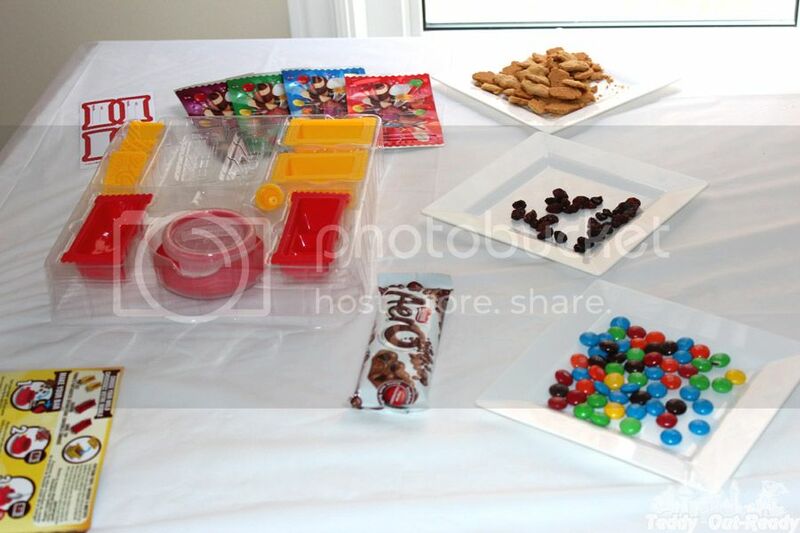 Since the kit has reusable tools you can create and decorate your bars whenever you want. 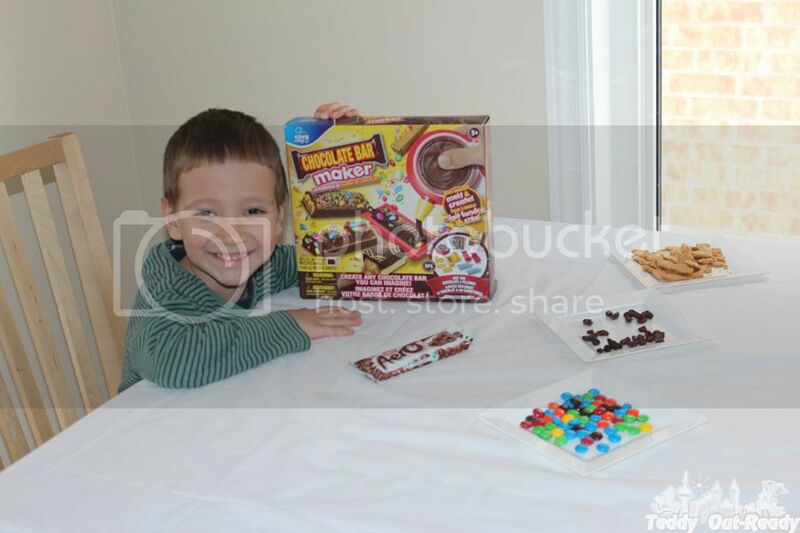 The Chocolate Bar Maker is perfect kid activity for any occasion like school breaks, friends gathering, birthday parties or rainy weekends. I like that the kit is designed for little children hands, tool sizes are just right for Teddy to use. The Chocolate Bar Maker includes wrappers to place your creations in and take with you out or make nice gifts for family and friends. They look really cool. 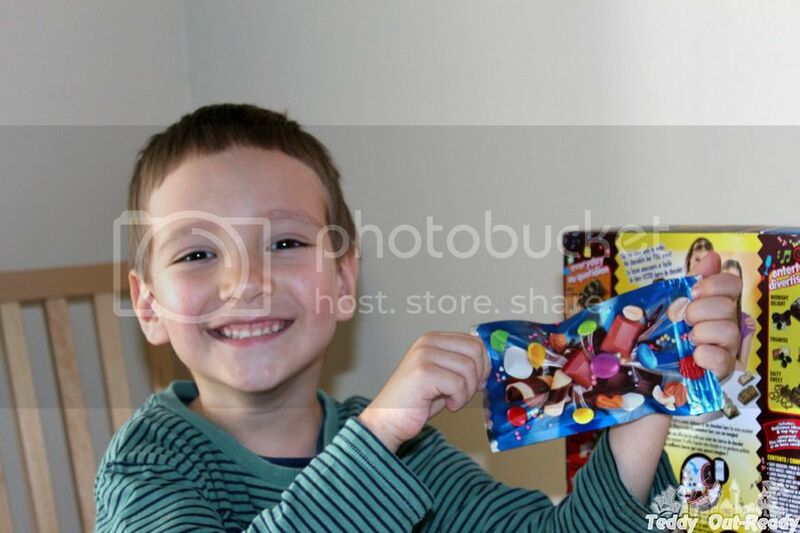 You can also personalize the bars adding labels to the wrappers making every bar a double treat.